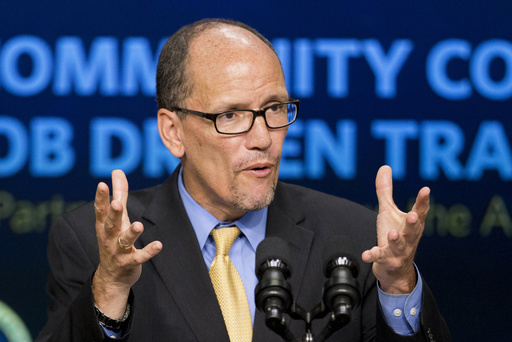 (CN) – Democrats meeting in Atlanta to elect their new party chair voted down a measure on Saturday that would have reinstituted a ban on corporate lobbyists donating to the Democratic National Committee. However, the measure was rolled back in February 2016 by former DNC chairwoman Debbie Wasserman Schultz to aid Hillary Clinton’s presidential run and provide her with a fundraising advantage over the then-surging Sen. Bernie Sanders of Vermont in the Democratic primaries. After the move the only portion of the ban that remained in place was a provision that kept lobbyists and representatives of political action committees from attending events featuring Obama, Vice President Joe Biden, or their spouses. The proposal to bring back the ban was made Friday, but lingering bitter feelings continue to fester between supporters of Clinton and Sanders, and that led to a spirited debate that continued into Saturday morning. Those who wanted to see the ban reinstituted argued it would bolster the party’s argument that it would not compromise its values or pander to those with deep pockets. Supporters of the ban countered by arguing many large businesses are good corporate citizens and that such a limit on donations would also prevent liberal activist groups from supporting the party. The debate over the ban Saturday suggested that even as Democrats sought to come together and rebuild after a disastrous 2016 general election, deep fissures are likely to remain even after party officials depart Atlanta. Nominating speeches for the candidates vying to be the next Democratic party chair began shortly after noon. 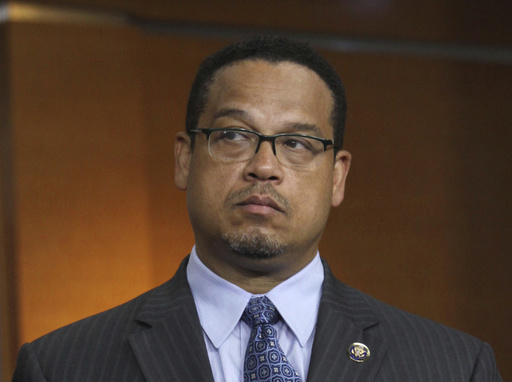 The election, which could take the entire afternoon if multiple ballots are needed to declare a winner, is seen as a referendum on whether the progressive wing of the party, led by Rep. Keith Ellison, D-Minn., with the support of Bernie Sanders, or the Obama-Clinton wing, represented by former Labor Secretary Tom Perez will lead the party going forward. With seven candidates on the ballot, multiple rounds of voting were expected before anyone claims the required majority.